Today’s overtly extrovert tech-savvy generation or as we are called the ‘digital natives’ have a ridiculously high comfort level with their smartphones. Everyone in the age group of 14+ has a phone or a smartphone. Considering this fact we can say the students of today have changed and they would rather type then kill the arm muscle and damage trees to take notes down. It is the combination of ubiquitous and powerful mobile devices and their expanding applicability for teaching and learning which results into benefits for learners everywhere. There are an estimated 6 million mobile subscriptions worldwide. 90% of world’s population and 80% of people living in rural areas have mobile coverage. Two third of the people who access the internet access it from a mobile device. There are around 105 countries whic have more mobile phone subscriptions than inhabitants. 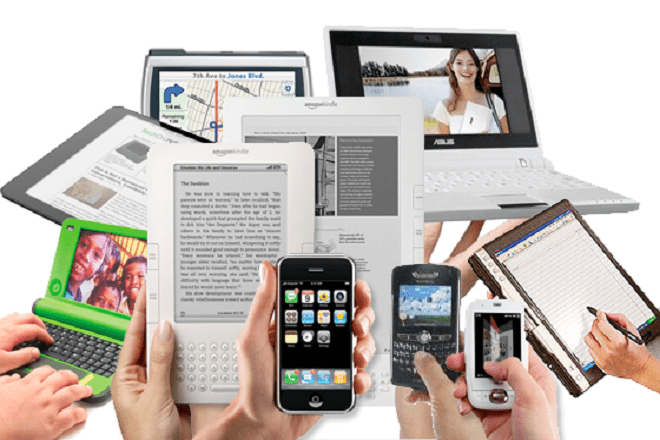 The predictions say that tablet computers sale are expected to surpass sales of PCs by 2016. It has also caused an explosive growth in the developing world. Out of the total of 660 millionnew mobiles, developing countries accounted for more than 4/5th of them. In 2011, 142 million mobile subscriptions were added in India alone. Mobile broadband subscriptions have grown 45% annually over the last four years. Mobile technologies can support and enrich learning. Agencies like UNESCO aim to empower women and girls through education via innovative mobile technology-based learning and information programmes. They aim to provide access to information and knowledge on areas such as human rights, health and hygiene, nutrition, agriculture, or banking. According to some studies, educators have been involved in various efforts for initiatives like Bring-Your-Own-Device (BYOD) in order to help students develop 21st-century skills. Students of this generation have a requirement to have information on the go, to facilitate their learning process. BYOD has become a part of today’s educational system. The dependency on BYOD is increasing day by day and with constant innovation and practices the students are depending more and more on the BYOD for their various educational purposes. The impact of BYOD on education has been great in the near past. As BYOD adoption increases, educators at all levels are finding new ways to integrate mobile devices into the educational experience. In educational institutions, the efforts to let the students have technology in their hands is revolutionizing the way they learn. It is also enabling more innovative use of technology in the classroom by displacing traditional lectures,textbooks and even testing with new, interactive models. Key findings from survey tell us that BYOD is a dominant model in educational settings at all levels. Putting technology in students’ hands is transforming the educational experience, not only in colleges and universities, but in K-12 schools as well. BYOD is fueling the transition as educators move from traditional lecture-based instruction to new models of learning, teaching and collaboration. What we can see is mobile technologies will become more ubiquitous and powerful in the future of education. What do you have to say about the importance, growth and power of mobile technologies and its learning outcomes? Sidhikka Bajpai is a blogger and loves to read and write about the new age learning and teaching techniques.